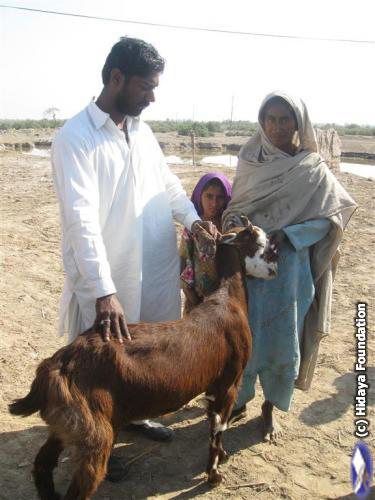 The majority of the people Hidaya Foundation helps are poor villagers who live in primitive dwellings such as mud huts with dirt floors, and without electricity or plumbing. 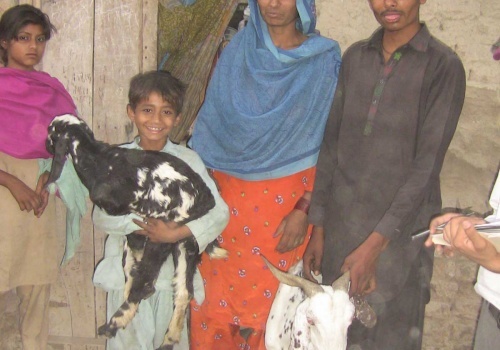 For such people, having a few animals could be a very good way of sustaining themselves for their own personal food as well as for profit and trade. Poultry Farming: Five chickens and one rooster, or a flock of 25 chicks, are given to a family (feeding supplies are also provided). 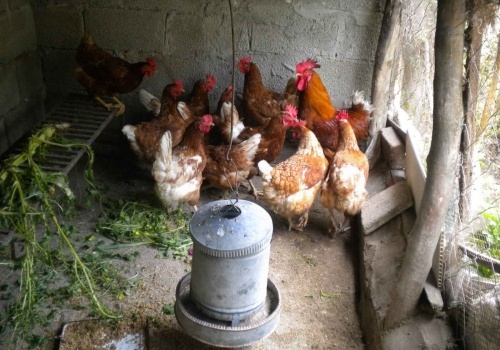 It costs about $50 to start a small poultry farm. 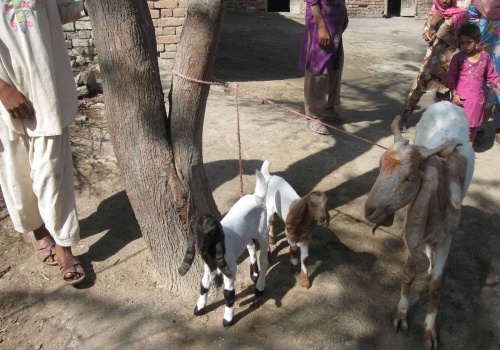 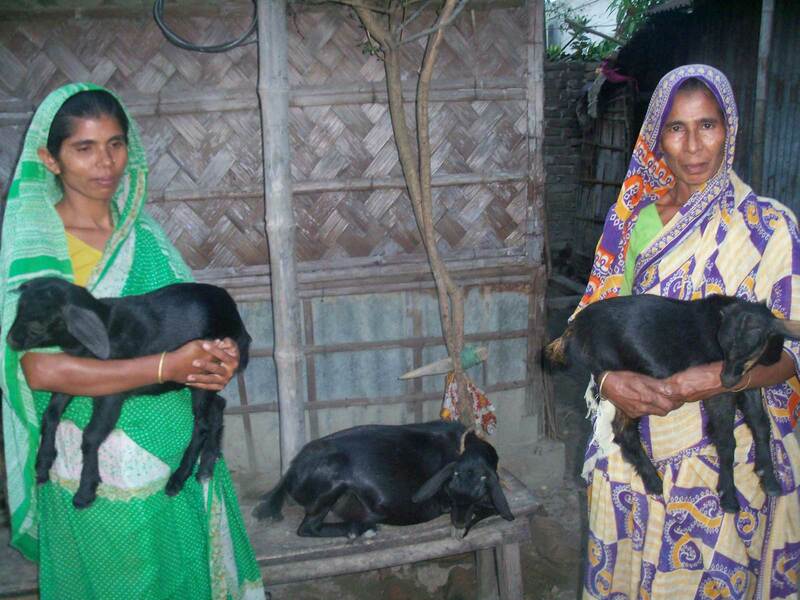 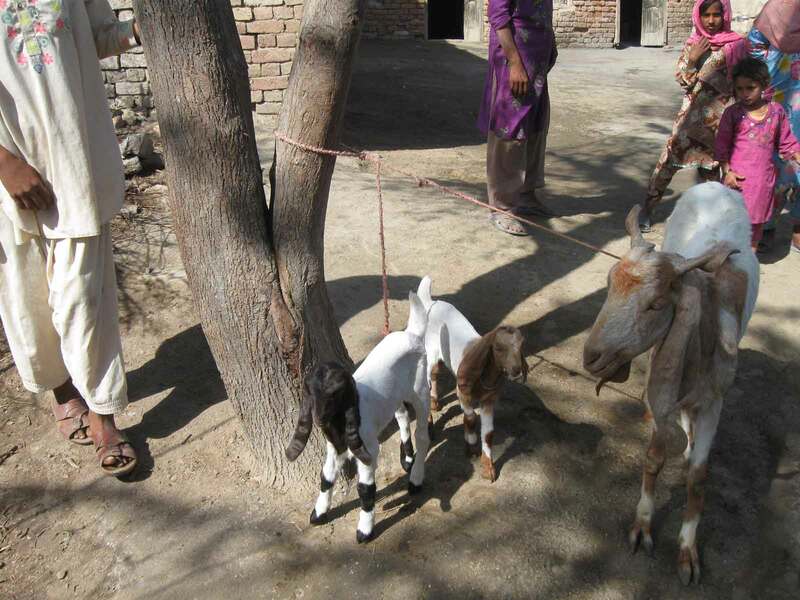 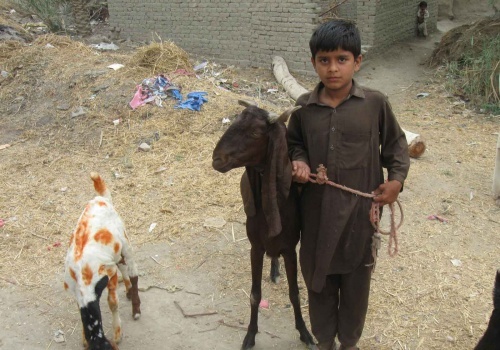 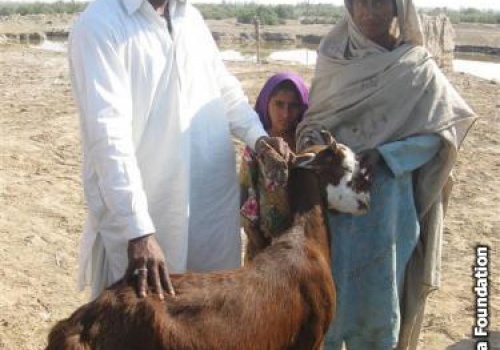 Goat Farming: Goats are given to the poor in rural areas for milk and goat farming. 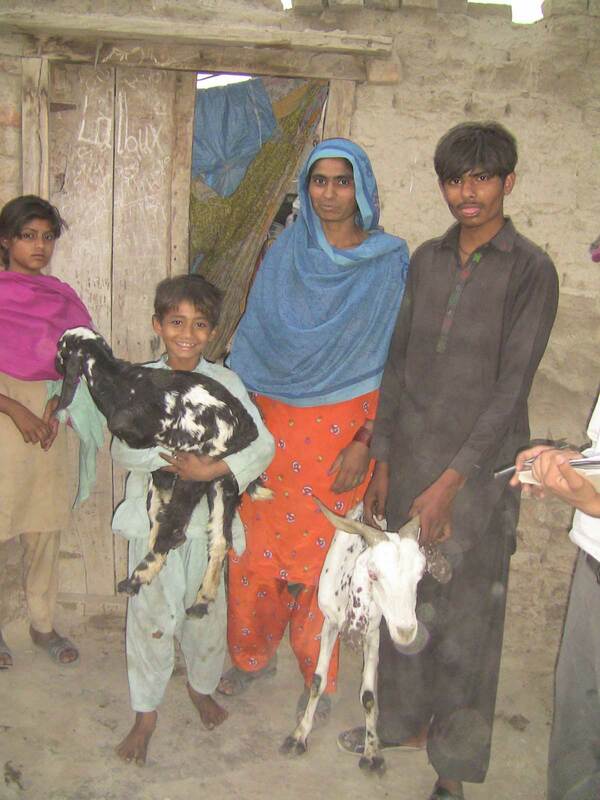 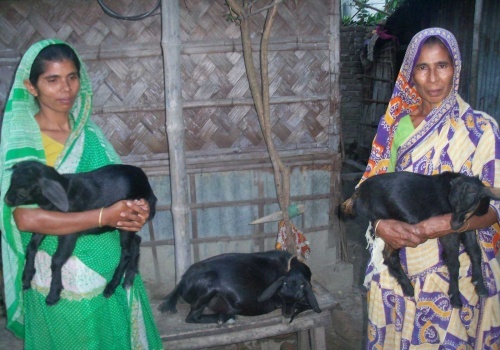 It costs about $220 for a pair of goats for a family to get started. 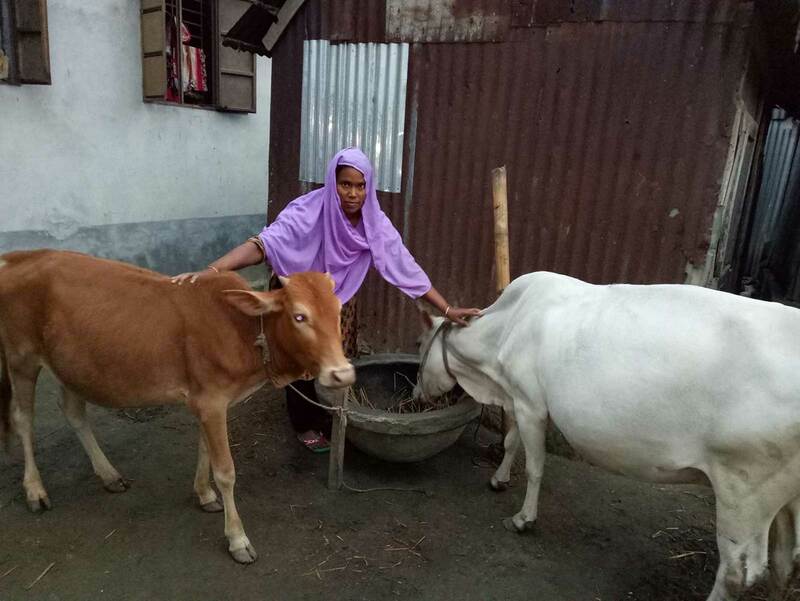 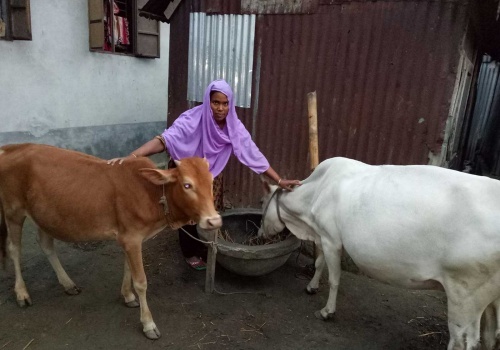 Cow Farming: It costs about $500 for a cow which can provide milk.